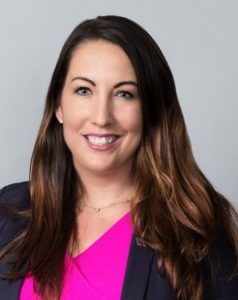 Stephanie Glavin is the Local Market Manager for Palm Beach County, FL.She is responsible for delivering for Bankof America’s clients/customers, communities and employees across the local market. In this role, she oversees the local charitable foundation and sponsorship investments as well as managing the local market delivery team that executes on local strategic plans and priorities. She also coordinates the partnerships among the local market’s volunteer network and affinity groups. Prior to joining Bank of America, Glavin was the Executive Director of the Muscular Dystrophy Association of South Florida. She has also served as the Corporate Partnership Manager & Director of Merchandise at Roger Dean Chevrolet Stadium, the Spring Training home of the Miami Marlins and St. Louis Cardinals. A native of Boston,MA, Glavin has a Bachelor of Science in Sports Management and Business Administration from the University of Connecticut. She is a graduate of Leadership Palm Beach County Class of 2018. She is currently on the executive committee for SunFest, chair woman of the Young Friends of the Kravis Center for the Performing Arts, and serves on multiple advisory/executive committees including United Way of Palm Beach County, the School District of Palm Beach County’s Financial Education Task Force, Florida Philanthropic Network, the Boca Raton Bowl and the Great Charity Challenge. Stephanie resides in Jupiter, FL.